Wohoo! 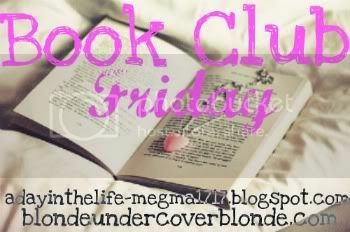 Time for Book Club Friday! From the Back: Jacob Hunt is a teen with Asperger's syndrome. He's hopeless at reading social cues or expressing himself well to others, though he is brilliant in many ways. But he has a special focus on one subject--forensic analysis. A police scanner in his room clues him in to crimes scenes, and he's always showing up and telling the cops what to do. And he's usually right. But when Jacob's small hometown is rocked by a terrible murder, law enforcement comes to him. Jacob's behaviours are hallmark Asperger's, but they look a lot like guilt to the local police. Suddenly the Hunt family, who only want to fit in, are directly in the spotlight. For Jacob's mother, Emma, it's a brutal reminder of the intolerance and misunderstanding that always threaten her family. For his brother, Theo, it's another indication why nothing is normal because of Jacob. My Take: Jodi Picoult is a workhorse author. By that, I mean that she must spend MONTHS or perhaps YEARS researching before writing because she seriously knows her business. Although there are five points of view (Jacob, his mother Emma, his brother Theo, police officer Rich and lawyer Oliver) the plot isn't spread too thinly between them and I was able to get emotionally invested with each character. The combination of five POVs, legal jargon, police procedure and aspects of Asperger's syndrome could've meant a confusing story, but instead, it's seriously engaging. Like, 'Holy cow it's 2:00 am?!' kind of engaging. It's a slow start in the beginning, but if you push through, things get BANANAS! I was convinced, on several occasions, that I'd figured out what was going to happen next and I was only right ONCE! Sometimes I was SO wrong that I'd put the book down and look around to see if anyone else was as surprised as I was. Marc was happy when I finished as he didn't really appreciate my outbursts of, "can you BELIEVE that?" and "shut up!" in the wee hours of the morning. I also cried during one part, which is EXTREMELY unusual (sneaky, sneaky, Ms. Picoult). House Rules is like a murder-mystery-women's-fiction hybrid with just a dash of YA (two perspectives are under 18). 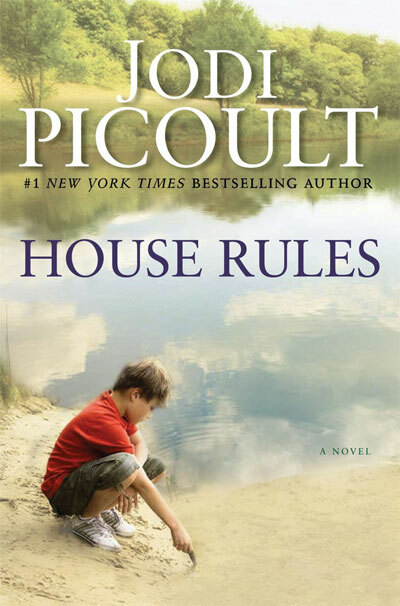 Frankly, I haven't read anything quite like it and I'm definitely going to read more books by Picoult. She's pretty much one of the best new (to me) authors I've read. Oh wow, that sounds like an incredible read! I love your description. Fantastic review! I love Jodi Picoult. My sister's Keeper was the first book of hers, we read for book club, what a discussion that was !!! I love, love, love this book-- great choice! I loved this book and I agree there are parts that are slow but she picks it back up so well. And I love that she puts so much research into it. This was a GREAT book as are all of her books! She is a redick writer she does her homework and knows her stuff! Jodi Picoult is quite awesome! You must read 19 MInutes. I was for real obsessed with it for a while. Also My Sister's Keeper is Amazing! The Hubs says I'm not allowed to read her anymore though because her books tend to 1. make me sob hysterically 2. make me really obsessed for a while and its all I can talk about. Wow! So Jodi Picoult is QUITE the popular author! I totally get it. She's SO GREAT! I'm definitely going to pick 19 Minutes. I'm sure Marc will be pleased for more midnight outbursts. Nikki H - our hubbys may need to start a support group. I love Picoult's in depth understanding of odd medical conditions that many of us have to deal with. She obviously thoroughly researches the condition, in this case Asbergers. Really highlights the difficult choices parents have to make and dedication to their children. Also points out how difficult it is for any "normal" siblings.